The services offered by Emergency Ambulance Service Corp. are available 24 hrs a day, 7 days a week. Our Emergency Medical Technicians provide Basic Life Support to our patients. They are certified by the New York State Department of Health. All EMT’s have extensive training during orientation and are constantly reevaluated by the supervisors. 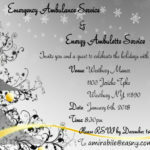 All EMT’s are trained to provide the most compassionate and courteous care available. Our paramedics provide Advanced Life Support to our patients. All of our paramedics are certified in Advanced Cardiac Life Support as well as Pediatric Advanced Life Support. 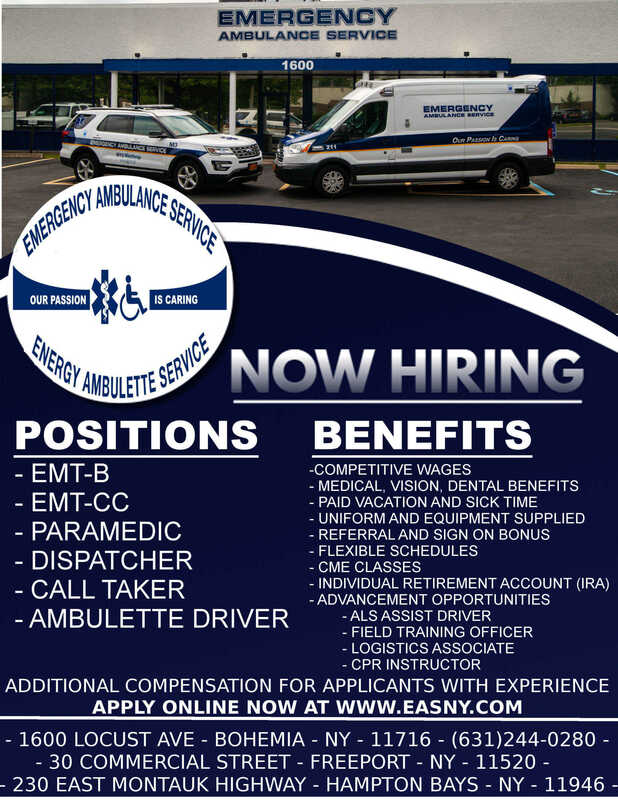 The paramedics work under the auspices of the New York Department of Health as well as Suffolk County Emergency Medical Services. All paramedics are trained in the fields of Advanced Cardiology including defibrillation, EKG recognition, and drug therapy. Advanced Airway Management including the use of portable ventilators equipped with medical air blenders. The paramedics are also trained in the use of IV medication administration and maintenance. All paramedic units are equipped with state of the art defibrillator/pacemaker EKG monitors, Portable Ventilators with medical air blender, Pulse Oximetry, and Portable IV Infusion Pumps. Our Paramedics have 24 hour contact with Medical Control. 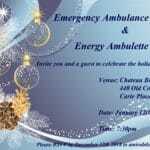 Emergency Ambulance Service offers pre-scheduled Ambulette transportation through our sister company Energy Ambulette Service. All of the drivers possess a NYS Commercial Drivers License. The drivers are also certified by the Department of Motor Vehicle as 19A qualified. Our drivers are compassionate and strive to provide the most comfortable transportation available. MTV, worked with production managers and coordinators. Bridgehampton Polo Match; approximately 1,000 in attendance; summer season duration. Riverhead Blues Fest, approximately 12,000 in attendance; 2006 and 2007. Party 105.3 Mega Jam, approximately 5,000 in attendance; 2009 and 2010.